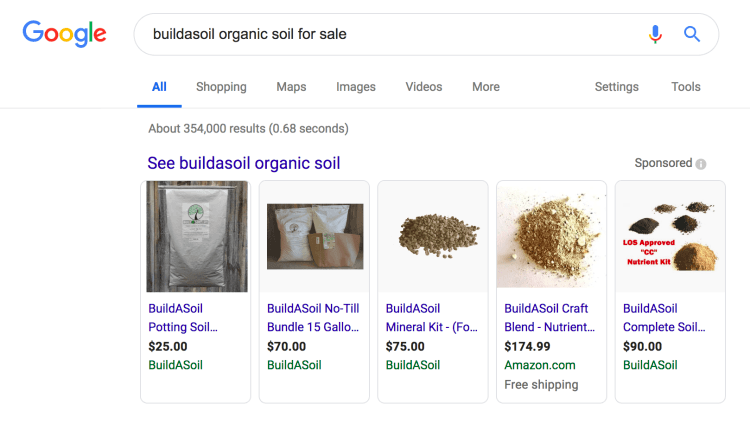 BuildASoil (BAS) is an online retail supplier for organic soil bases, amendments, composts, fertilizers, and growing systems. Gardeners design their own custom soil and nutrient mixes on their website, which are then bagged and delivered to their doorstep. While the BAS products can be used for any home gardener, their brand attracts the exploding cannabis market in Colorado and other legal states. They have also grown a lifestyle brand around their product through Instagram, YouTube, and their blog where they offer how-to articles, videos, and behind the scenes information to their fans. Their mission is to assist home gardeners to be successful with organic gardening through their tested natural systems. They have a vision for a garden in every patio in every home. BuildaSoil connected with InSync Media in October 2018. 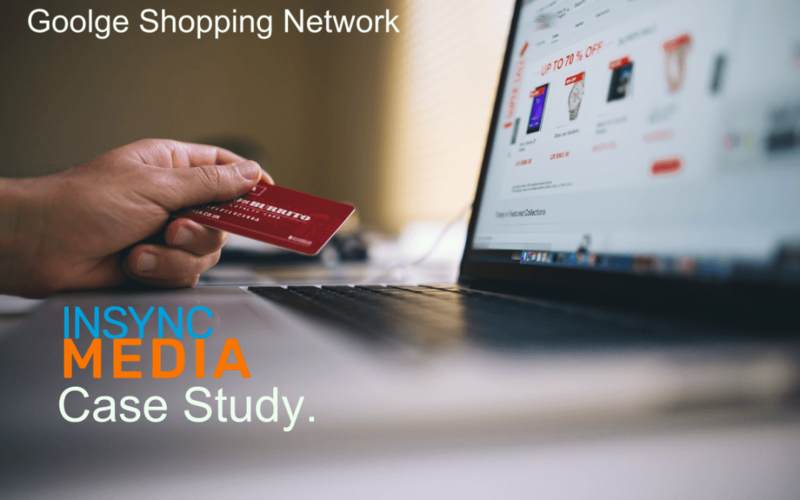 While they had grown a successful company through organic online marketing, paid and organic social media, and a loyal fan base, they knew they were missing an opportunity to grow through pay-per-click advertising on the popular Google Shopping Network (GSN). The GSN is a technical setup, and the staff at BAS did not have the internal resources to get this PPC advertising channel set up and working correctly. It made sense for them to hire an agency to manage this aspect of their PPC marketing. After the initial setup costs, InSync Media offered them affordable monthly management fees available to local small businesses. Our average CPC, or cost-per-click, is $.20 below the industry average (industry average being in the $.40/click range). For just under $10,000 in total ad spend, we have nearly 43,000 highly targeted clicks and four million impressions. These are incredibly high numbers that most people don’t achieve on their online marketing campaigns. Below is a graph showing the exceptional results in the last four months on our BuildaSoil PPC advertising campaigns. We have two ads running: one is the GSN products; the other is a retargeting ad. The best part for our client is $195,812 in total sales over the last four months through effective PPC management. That’s a 1,891% ROI on their ad spend. The owner of BAS commented after a monthly ads review with us, “I was wondering why we were getting so many $6,000 days recently!” Our PPC management was so effective and seamless for our clients that they nearly “forgot” this was going in the background. We love surprise $6,000 days! The Google Display Network is an ad network that advertising-supported websites can choose to display on their sites (news, gaming, blogs, YouTube). You may have noticed banner ads you see on sites everywhere, showing you an ad from a website you have recently visited. Below is an example of a display banner ad on a popular news site. The Google Display Network reaches over 90% of internet users across 2 million sites. BAS saw success with their retargeting campaigns, enjoying a nearly 1% click-through rate, which is stronger than any retargeting campaigns we have ever run for a client. This strategy keeps the customer off of the competitor’s websites and coming back to BAS to purchase again and again. With beautifully designed graphics from our in-house design team (below), we followed their website visitors around the web for 90 days, earning our client an additional 26 customers and $3,334 in sales. Even though the cost per purchase is rather high on remarketing at $90/purchase, this client has an extremely high reorder rate. Nearly 50% of all people who order soil end up coming back and reordering soil again at a later date. This drastically increases a customer’s Lifetime Value to a couple thousand dollars, making the $90/purchase still an attractive rate for this client to gain a new loyal BAS customer. More reviews = more sales on your pay-per-click advertising! You must have at least 100 reviews on your site received in the last year before the star rating shows in the GSN feed. Your average rating across all products on your site must stay above 3.5 stars. Even though it can be quite a bit of work to earn this many reviews, there are several tools available to eCommerce store owners to accomplish this. It is important to have a robust review generation campaign going out on your email automation, as well as popups on your website. While reviews in the shopping feed are extremely important, getting the star rating to show in the GSN for our clients at BAS is still something we are working on! This goes to show that even when we can’t get everything perfect on ads, if you have the right product, the right price, and the right targeting audience selected, you can still be enormously successful on the GSN. Google is constantly scraping the web, reading everything that is published so that it can display better search results. This includes pay-per-click advertising such as the GSN. As the GSN system functions in a different manner than manually entered keywords designed to target a specific audience, it uses your website’s content and categories to display products to the most relevant searches. if you are selling women’s purses, people might search for “purse” or “handbag.” You want to get both of those keywords in your products in order to capture all possible traffic. Be Different from Your Competitors. You can easily do this through unique and creative titles on your ads. No one wants to go a shopping page looking for red socks and have every single product title be labeled “red socks.” Clickability with unique and informative titles with the keywords your customers use is key! Check out what other advertisers in your space are doing for their product ads, then BE DIFFERENT. Write a Clickable Description. The GSN feed has limited characters that will show before the rest of the description gets cut off with an ellipsis (…). Make sure that the main points about your product fit in the visible part of the description field. This is your big chance to capture the attention of your target audience looking to buy your product! Make the descriptions count. Compete on Pricing—If It Makes Sense. Do a search on the GSN for your product and see what your competitors are charging for similar products. You want to be priced a bit lower if possible to attract the most attention. If that’s not possible, offering other promotions such as free shipping or a drawing for a free giveaway helps show more value than your competition. Be Loyal to Your Brand. If you are a luxury brand, then pricing is not always the most important item to compete on. Your loyal followers are most likely buying into the lifestyle your brand offers and are not as price conscious. Our BAS client has several products that are priced significantly higher than their competition for a similar product, and they still make sales on those premium products because they are loyal to their brand. If this is your situation, showcase the superior quality of materials or workmanship, along with the story behind the product is your best strategy. A solid branding strategy helps you make informed decisions about your PPC advertising. Set Up and Maintain Your Online Store Correctly. An out-of-date product database can wreak havoc on your PPC campaigns. Additionally, the fields for each product in your store need to be easily identifiable so that your store syncs up correctly with the GSN (title, skew, reviews, price, descriptions, etc.) Keep your online store current by taking off old products you aren’t selling anymore. By following these tips, your PPC shopping feed is more likely to succeed. Download a printable .pdf of this case study here. When you work with InSync Media on your PPC advertising management, we take care of the technical setup of your campaigns, design and copy ad writing, ongoing bid management, and monthly reports. We also make recommendations for the optimization of your website and email automation to maximize conversions, increase cart value, drive reviews, and increase repeat orders. How Important is Mobile Web Design?